Citrix Netscaler and SSL 3 "Poodle" vulnerability - NetScaler Rocks! The article shows how we can disable SSL on vServers and on NSIP, MIP and SNIPs. 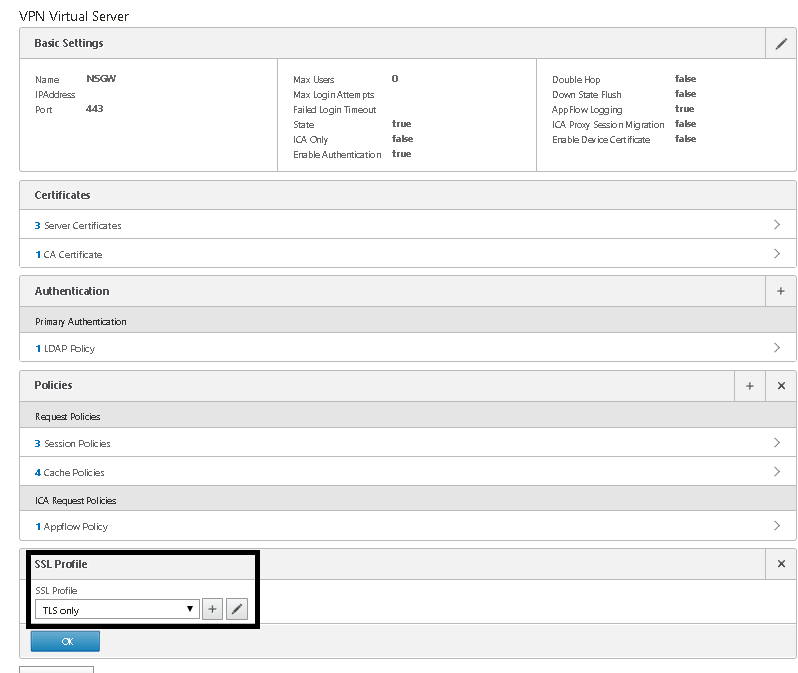 After we have created an SSL profile we can bind it to a vServer. Cool marius! Really like the SSL Profiles that are added in 10.5, makes adjusting SSL settings for a large number of vServer way more easy!